The second biggest cryptocurrencies in terms of coin market cap has been added to the cryptocurrency payment processor CoinGate as one of its payment options for merchants. Ripple's XRP can now use as payment at more than 4,500 shops online. This year, Ripple (XRP) is gaining more attention to all investors for its fastest, most scalable digital asset and able to process cross-border payments in real-time anywhere in the world. For the records, the digital asset XRP can give a frictionless experience to send money around the world using the power of the blockchain in an instant. CoinGate big announcement was revealed first at the company's official Twitter account. The company tweet released on February 1. According to the CoinGate's blog post, "XRP coin owners can now use it as a means of payment at more than 4,500 shops online! Whether you want to purchase a VPN, video game or anything else, you are more than welcome to do that!" "We are happy to cater to the huge XRP community and vastly expand the use cases of this digital asset. By being one of the first payment gateways that process XRP natively, we hope to significantly boost its utility," the company posted. 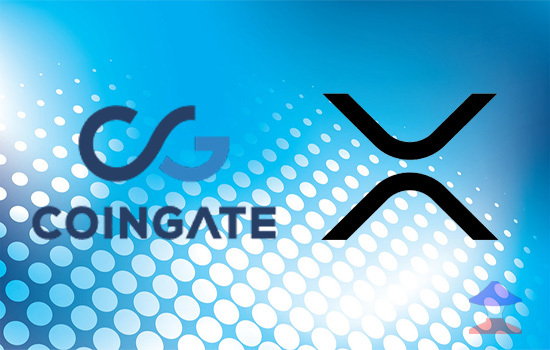 CoinGate also highlights how fast and convenient to use XRP as payments. You can settle any payment in just 4 seconds and the Ripple network can handle +1,500 transactions per second. And the more important is the cheaper payments fee that cost less than a fraction of penny – $0.00001, to be exact. Aside from that, you can also buy XRP via CoinGate using one of our supported methods. For example, you are able to purchase it using SEPA bank transfer, mobile balance, and QQPay through CoinGate dashboard. Meanwhile, Swift CEO Gottfried Leibbrandt announced to integrate their system to the R3's platform with its new payments standards framework GPI, or Global Payments Innovation. Swift is partnering with blockchain start-up R3. Comments or suggestions about "Ripple’s XRP added on Crypto Payment Processor CoinGate" is important to us, you may share it by using the comment box below.